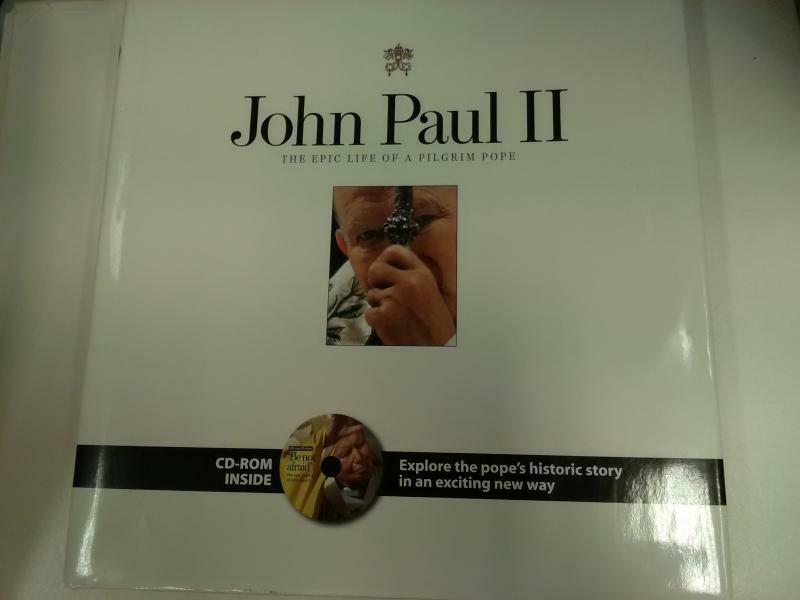 Santrauka: This multimedia coffee-table book/CD-ROM package is the only one of its kind to honor in exquisite detail the remarkable, historical papacy of Pope John Paul II. Through hundreds of rare and archival photographs, extensive video footage, and decades' worth of reporting and interviews, John Paul II: The Epic Life of a Pilgrim Pope is the definitive tribute to the man and his legacy. The book is a captivating pictorial record of the pontiff's life and reign, with hundreds of photos, interviews, and firsthand news accounts of the most significant events of the Pope's quarter century in power. World leaders such as President George H.W. Bush, Lech Walesa, and many others share their experiences with Pope John Paul II and reflect on the impact of his papacy. The companion CD-ROM is divided into nine comprehensive segments that chronicle a specific time period in the papacy of Pope John Paul II, and features thousands of photographs, video footage, published newspaper and magazine articles, and original text written and compiled by the Chicago Tribune's award-winning editorial and design staffs.